The announcement comes two months after a federal grand jury indicted him on three counts of federal bribery and three counts of violating the federal Travel Act, charges to which he plead not guilty. 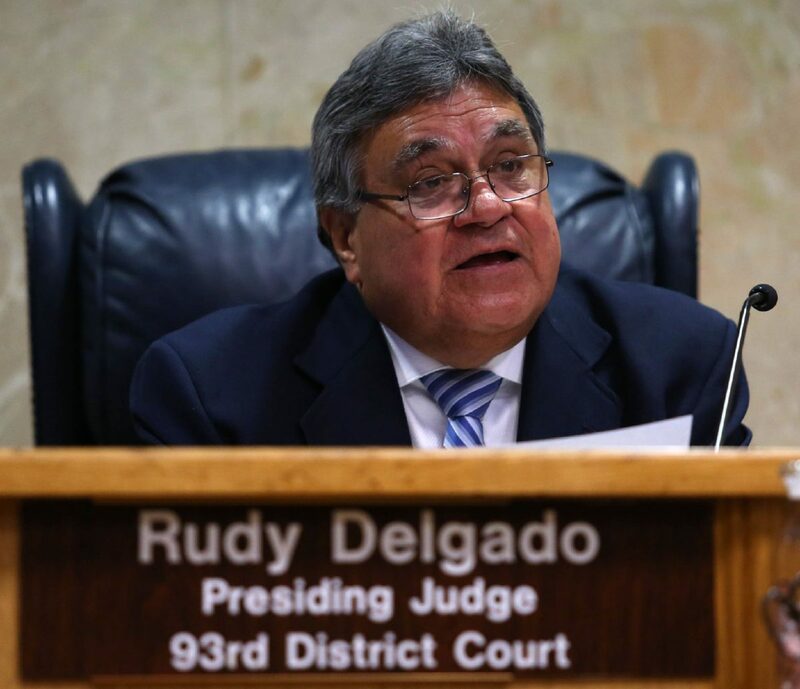 Delgado said he believes “it is in the public’s best interest that the 93rd District Court continues to operate,” in a letter he read aloud to those in the court, which included a handful of attorneys and members of the media. “Some people may consider this announcement as some type of admission of culpability with respect to the pending charges. They would be wrong in doing so. It is simply, the right thing to do,” he said. Federal investigators allege Delgado, 65, accepted approximately $6,000 in cash bribes from a local attorney between November 2016 and January 2018 in exchange for setting bond for three clients accused of violating probation. Delgado may also face additional charges, according to a motion for continuance his attorney filed earlier this month, which noted that federal prosecutors had informed them that “a superseding indictment is possible.” Such an indictment, which replaces the original, could include new charges, different charges or additional defendants. 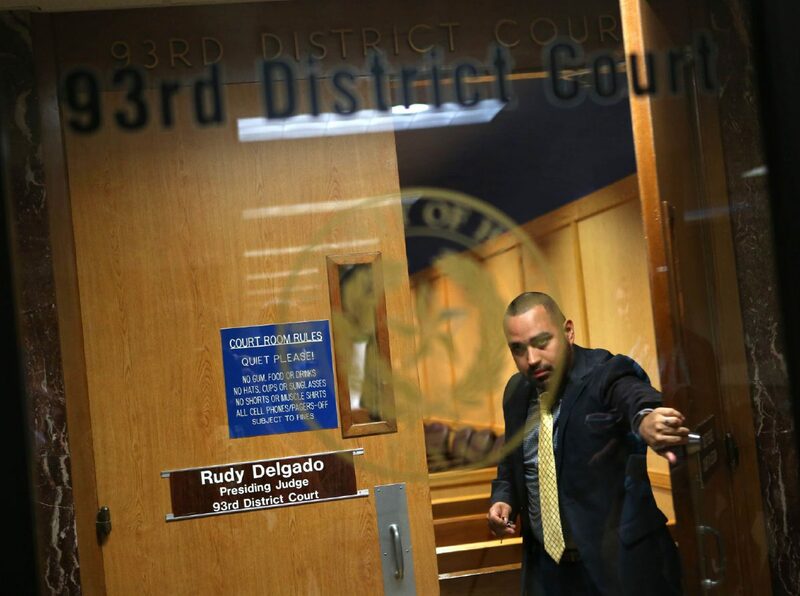 Delgado’s trial in Houston’s federal court is tentatively scheduled for early September. 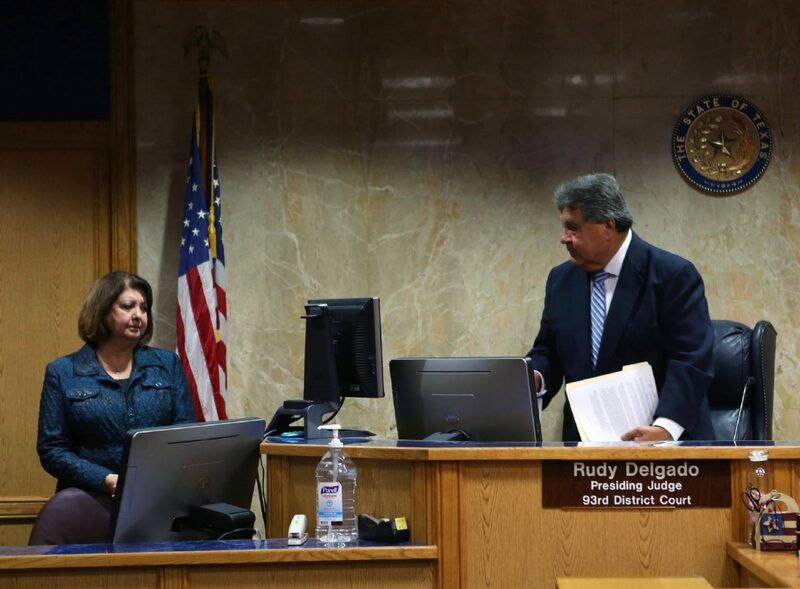 Delgado — who first took the bench in 2001 — had been suspended without pay since his indictment, and visiting judge Robert Garza has presided over the 93rd state District Court in the interim.